An End to the 'Era of Oppression' in Turkey? Originally published under the title, "An End to an Era of Oppression." For the first time since his Islamist party won its first election victory in 2002, Turkish President Recep Tayyip Erdogan was nowhere to be seen on election night. He did not make a victory speech. He did not, in fact, make any speech. Not only failing to win the two-thirds majority it desired to change the constitution, the ruling Justice and Development Party (AKP) lost its parliamentary majority and the ability to form a single-party government. It won 40.8% of the national vote and 258 seats, 19 short of the simple majority requirement of 276. Erdogan is now the lonely sultan at his $615 million, 1150-room presidential palace. For the first time since 2002, the opposition has more seats in parliament than the AKP: 292 seats to 258. The ruling AKP lacks a parliamentary majority for the first time since 2002. "The debate over presidency, over dictatorship in Turkey is now over," said a cheerful Selahattin Demirtas after the preliminary poll results. Demirtas, a Kurdish politician whose Peoples' Democracy Party (HDP) entered parliament as a party for the first time, apparently with support from secular, leftist and marginal Turks, is the charismatic man who destroyed Erdogan's dreams of an elected sultanate. 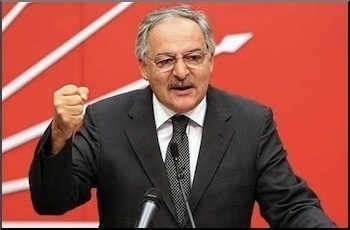 Echoing a similar view, the social democrat, Kemal Kilicdaroglu, leader of the main opposition Republican People's Party (CHP), commented on the early results in plain language: "We, through democratic means, have brought an end to an era of oppression." What lies ahead is less clear. Theoretically, the AKP can sign a coalition deal with the third biggest party, the right-wing Nationalist Movement Party [MHP], although during the campaign, MHP leader Devlet Bahceli slammed Erdogan harshly for the embarrassing corruption allegations against the president. At the same time, a CHP-MHP-HDP coalition is unlikely, as it must bring together the otherwise archenemies MHP and HDP. Kemal Kilicdaroglu, leader of the opposition Republican People's Party (CHP), proclaimed "an end to an era of oppression." The AKP management may be planning for snap, or early, polls but there are hardly any rational reasons for it except to risk another ballot box defeat. Parliament may try a minority government, supported by one of the parties from outside government benches, but this can only create a temporary government. Two outcomes, however, look almost certain: 1) The AKP is in an undeniable decline; the voters have forced it into compromise politics rather than permitting it to run a one-man show, with in-house bickering even more likely than peace, and new conservative Muslims challenging the incumbent leadership. 2) Erdogan's ambitions for a too-powerful, too-authoritarian, Islamist executive presidency, "a la sultan," will have to go into the political wasteland at least in the years ahead. The AKP appeared polled in first place on June 7. But that day may mark the beginning of the end for it. 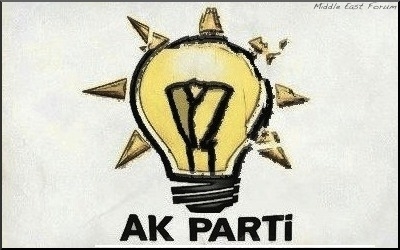 How ironic; the AKP came to power with 34.4% of the national vote in 2002, winning 66% of the seats in parliament. Nearly 13 years later, thanks to the undemocratic features of an electoral law it has fiercely defended, it won 40.8% of the vote and only 47% of the seats in parliament, blocking it from even forming a simple majority.